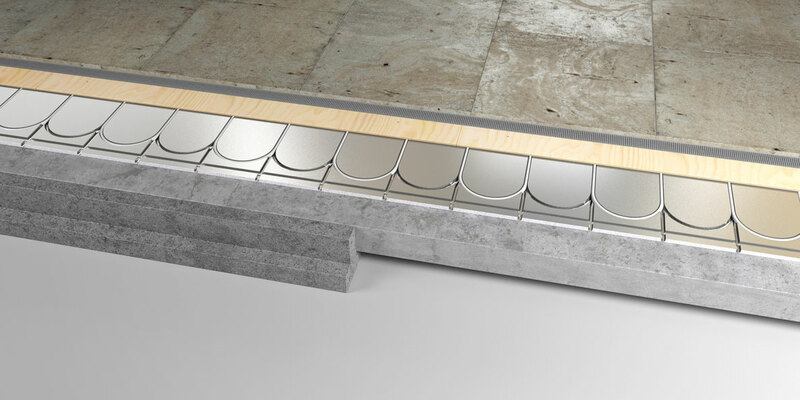 BaseTM ULTRA-LOW EPS UNDERFLOOR HEATING SYSTEM specifically designed to fit directly on to sub-floor construction. The foil faced EPS panel ensure even heat distribution across the floor area and counter downward heat loss. BaseTM Tacker underfloor heating system to incorporate 16mm PEX pipe to be installed to laminated gridded insulation panel using polymer pipe staples. Staples fixed at 300mm apart. Installation in accordance with pipe layout design. Perimeter expansion edging strip to be installed to perimeter to prevent expansion of screed and thermal bridging.